What would you do this Spring together with Ford to have Prosperity, Reunion and Wealth? 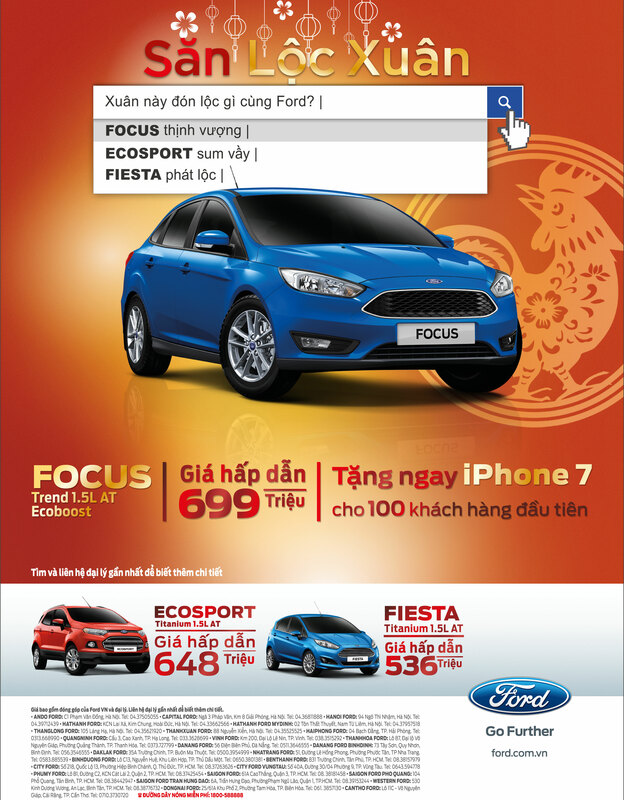 Prosperity together with Focus Trend 1.5 L AT Ecoboost! Price: only 699 million VND only. Reunion with Ecosport Titanium 1.5 L AT! Price: only 648 million VND. Wealth with Fiesta Titanium 1.5 L AT! Price: only 536 million VND. Gifted Iphone7 for the first 100 customers.